AP LAWCET 2019 Admit Card – Andhra Pradesh State Council of Higher Education (APSCHE) will release the AP LAWCET 2019 Admit Card on May 01, 2019 through the official website. AP LAWCET 2019 examination will be organized on May 06, 2019. To download the admit card, candidates have to enter their payment reference id, registration number, qualifying exam hall ticket number, mobile number and date of birth. The admit card will be requied on the AP LAWCET 2019 exam day. Along with the admit card students must take along their identity proof. Candidates must take care of the admit card as the hall ticket number will be requied at later stages of the admission process. Hall ticket will be issued to those candidates who have submitted the application form and fees on time, correctly. AP LAWCET 2019 admit card will be available here as per the schedule. We will also provide the direct link to access the admit card on this page. Candidates can check out the schedule given below as only the exam date is being released. Admit Card/Hall Ticket: Candidates will be able to download the Admit Card/ Hall Ticket from the official website www.sche.ap.gov.in. Note: Candidates will not be able to download their admit cards if they have not made the payment of LAWCET 2019 examination fee before the last date of payment. AP LAWCET 2019 admit card is very important for the students. 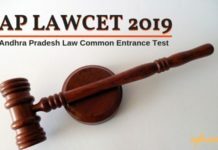 As we know now that no candidate will be allowed to appear for the AP LAWCET 2019 exam without the admit card. 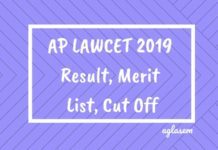 However, APSCHE has explained how there is a specific significance of AP LAWCET 2019. Many times candidates lose or misplace the admit card after the examination. But, students must take good care of the AP LAWCET 2019 examination. The hall ticket will be required to be produced even after the exam is held on different occasions. Therefore, candidates must keep the AP LAWCET 2019 admit card safe until the completion of the admission procedure. How to download Admit card of AP LAWCET 2019? To know the procedure of downloading the AP LAWCET 2019 hall tickets, candidates must go through the steps given below. 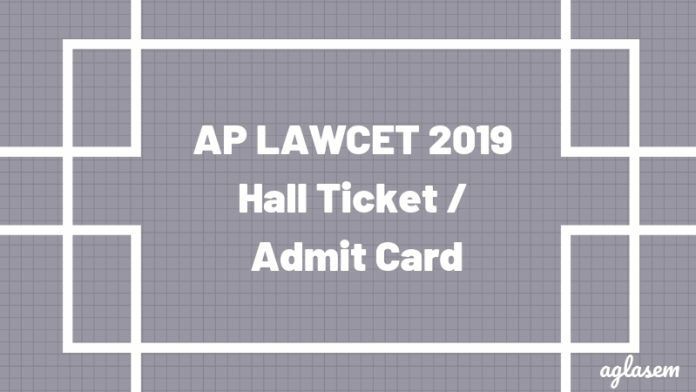 Visit the official website of AP LAWCET 2019 www.sche.ap.gov.in and click on the Notification “Download Hall Ticket”. Click on the option “Login”. Candidates have to enter payment reference ID, registration number, qualifying examination hall ticket number, mobile number, date of birth. Take a printout of the admit card. Candidates are required to take admit card to the exam center on the day of examination. 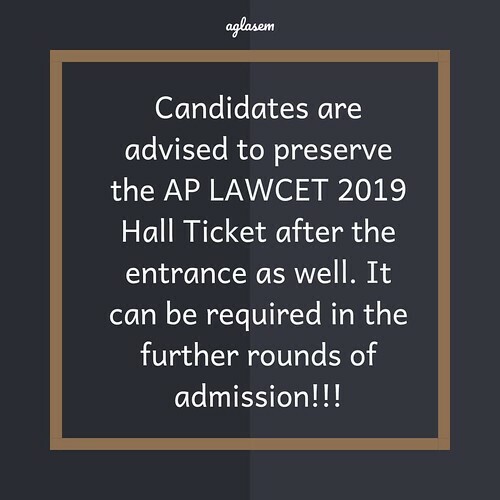 NOTE: No candidate will be permitted to appear for AP LAWCET 2019 without an admit card. On exam day, it is compulsory to report by reporting time mentioned in hall ticket. Candidate should preserve the hall ticket after the examination as it is required at the time of entry into the course. As soon as the admit arrives on the official website, candidates can see the details mentioned below. It is advised to all the candidates to check the details printed on it. In case of any discrepancy, candidates should contact the concerned authorities to make the required changes. General instructions on the admit card. The exam pattern for AP LAWCET 2019 has been released . Candidates can go through it once before going to start for the preparation of the entrance exam. 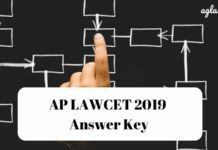 Mock Test: Click here to practice mock test paper for AP LAWCET 2019. There are total 16 examination center in Andhra Pradesh. The list of centers is given below.